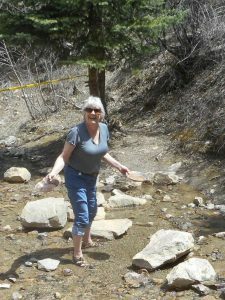 May 9, day 8 – Idaho Springs CO, Elev. 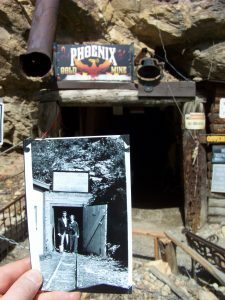 7540 Ft. We began our day with a tour of the Phoenix Gold Mine. 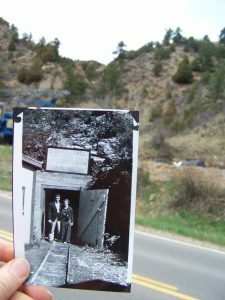 A photo was taken of Earl and Ethel at the entrance to the Star Tunnel, a gold and mineral mine about a mile south of Idaho Springs on Highway 103. 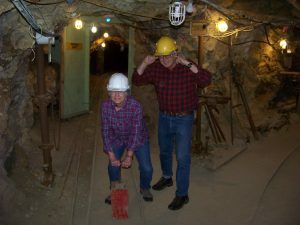 The Star Tunnel mine has long been closed and according to local contacts nothing visible remains. 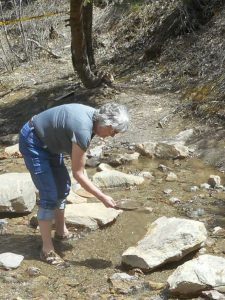 We later traveled to its location and took a photo from the road. 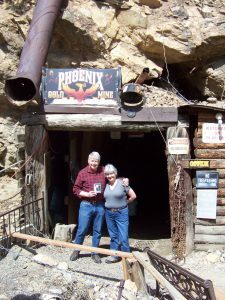 The Phoenix mine tour is very similar to the mine that Carl’s parents toured. Our tour was wonderful, we learned a lot, and our guide was fantastic. 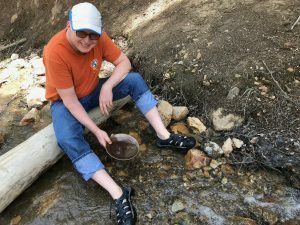 We later panned for gold in stream at the mine to supplement our fixed income and pay for our trip. Wile E. Coyote should be worried! Carl will be sticking to the 401K! Hi just read your story in the Reporter. This is such a cool story! 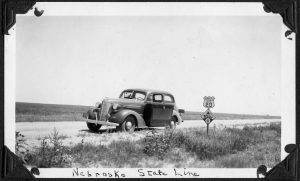 Hoping you have a safe and fun journey and we’ll be checking in on your progress. 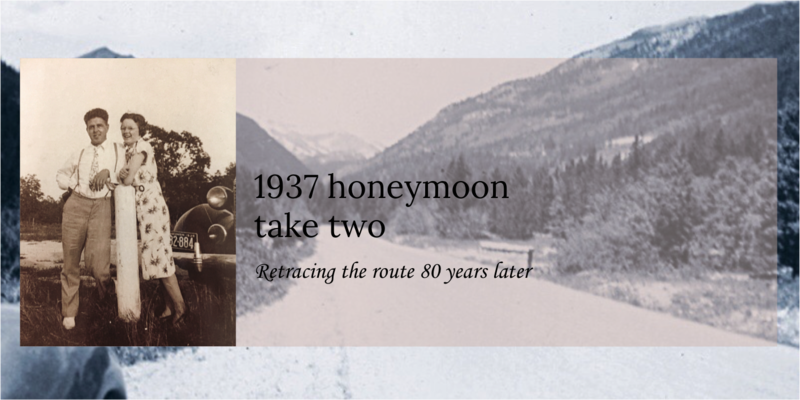 Very interesting We did our honeymoon in 1953 to Camp Carson in Colorado Springs.Black Hills Yellowstone & Colorado. We’re glad you like what we’re doing!